Back in May, I made a post about my least favourite tropes in YA. I thought it was only right to balance the scales by also making a list of my favourite, most ridiculously indulgent tropes too. These aren’t the ones which never happen, which I would love to see more of….. these are the ones I see a lot, but somehow still can’t get enough of. Anything that makes you do this when you read it. Fair warning: these are mainly love based, because I am a shamelessly romantic sap. Let’s get right to it, shall we? friends who don’t realise they’re actually in love with each other until………THEY DO? AND IT’S AMAZING? related: characters sacrificing themselves for people they have a secret, carefully cultivated, soul-consuming unrequited love for……. ……….and the awkwardness afterwards when they don’t actually die in their rescue attempt, so now their object of affection knows they are madly in love with them. This trope is just…….give it to me!! SECRETLY ROYALTY. I don’t even care! I want all of it!! All of the princesses sneaking off in disguise to ~explore the world~, and all of the thieves who turn out to be long lost princes. I need more!! kissing in the rain. IN! THE! RAIN!! I don’t know why this is so irresistible. But every single time, it melts my heart. nervous new boyfriends being introduced to outwardly disapproving fathers, who are really just acting intimidating to mess with them!!!! gleeful fathers and embarrassed daughters!! yessss!!!!!! FORBIDDEN LOVE. Oh, these two characters can’t ever be together for plot reasons? Look at that: I ship them. I ship them so much. If there isn’t a tumblr meme perfect for your blog topic, you aren’t trying hard enough. L to R: Katie Webber, Sally Green, Alice Oseman, Melinda Salisbury, Alexia Casale, Sara Barnard and me! 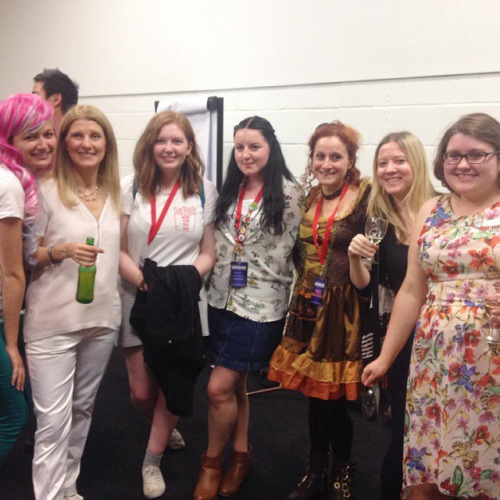 It’s also been announced that I’m chairing a panel at YA Shot in October with Lucy Saxon and Catherine Doyle, HURRAY! More details on that here. This entry was posted in writing posts on 26/07/2015 by Lauren James.